Red Rooster chef (and Chopped judge) Marcus Samuelsson is joining actor Ethan Hawke to promote the YMCA in a new campaign. , Samuelsson talks about the branch in Harlem, New York, where he’s been a 10+ year resident and owns two restaurants. 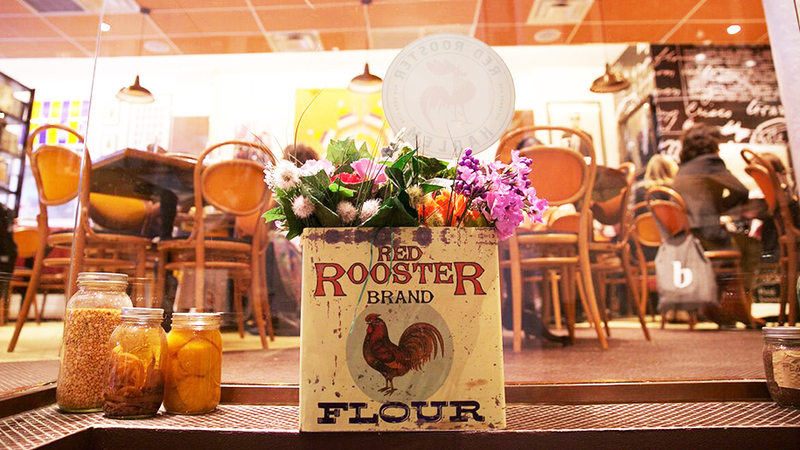 His flagship restaurant Red Rooster——and the more casual Streetbird Rotisserie are both just blocks away from the Harlem Y where the chef works out and volunteers. In 2012, the chef to overhaul the kitchen at Harlem’s Grosvenor Neighborhood House Y. It hadn’t been used in over a decade. Counters were re-finished in glossy red and topped with with indoor herb trays, while the room’s natural light was preserved to inspire kids to want to be there. The episode ended up winning an Emmy. For his part, in addition to working with the YMCA, Samuelsson partners with organizations Careers through Culinary Arts Program (C-CAP), which preps high schoolers for college and restaurant careers. When , it’s where he donated his $50,000 prize. The chef also co-founded , an annual week-long food festival, now in its fourth year. While attracting national talent like Dominique Crenn, it also showcases the neighborhood’s worthy food scene—one that Samuelsson, a James Beard Award-winning “Best Chef NYC” and the youngest person ever to receive a three-star review from the New York Times—helped put on the map. The festival attracts 15,000 people a year.